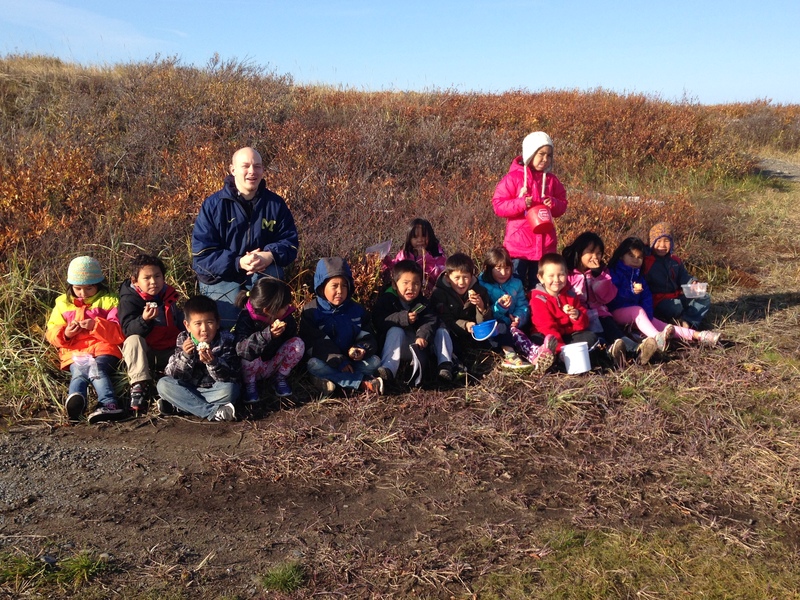 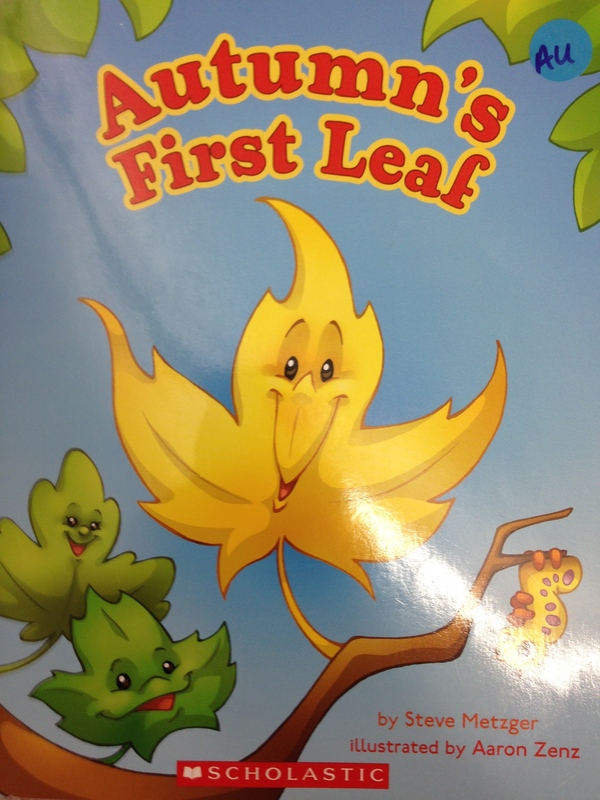 Continuing with our fall theme we read Autumn’s First Leaf by Steve Metzger. 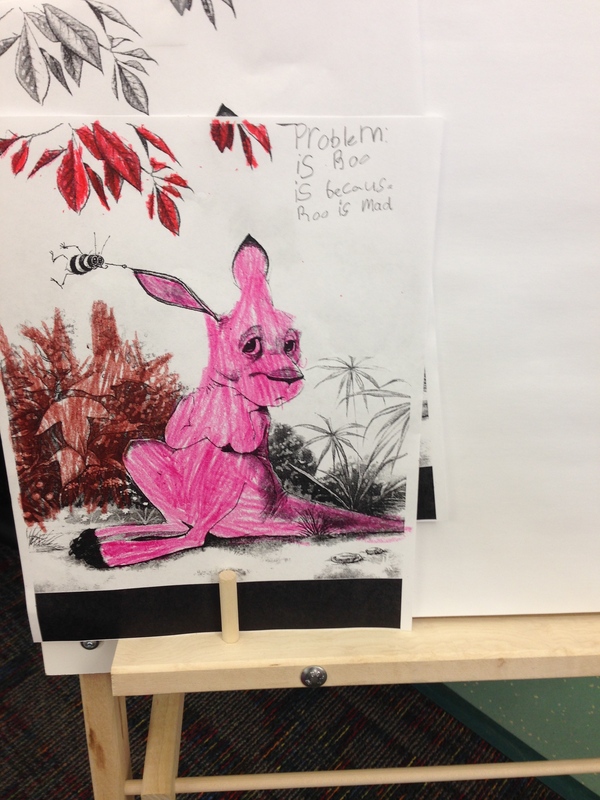 We talked about the problem and solution of the story. 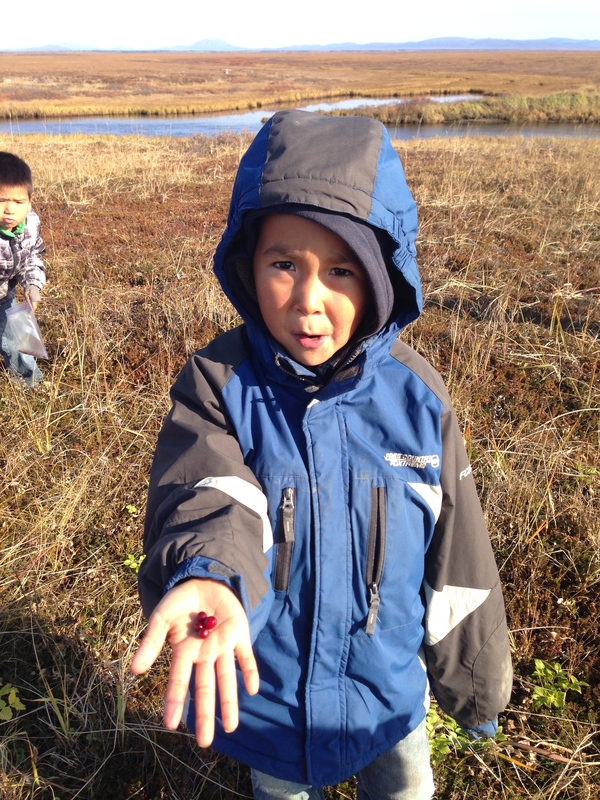 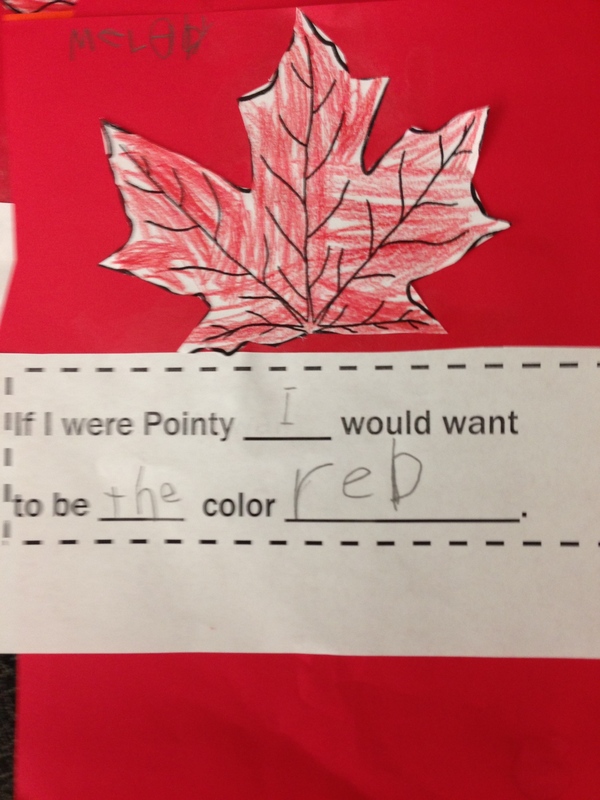 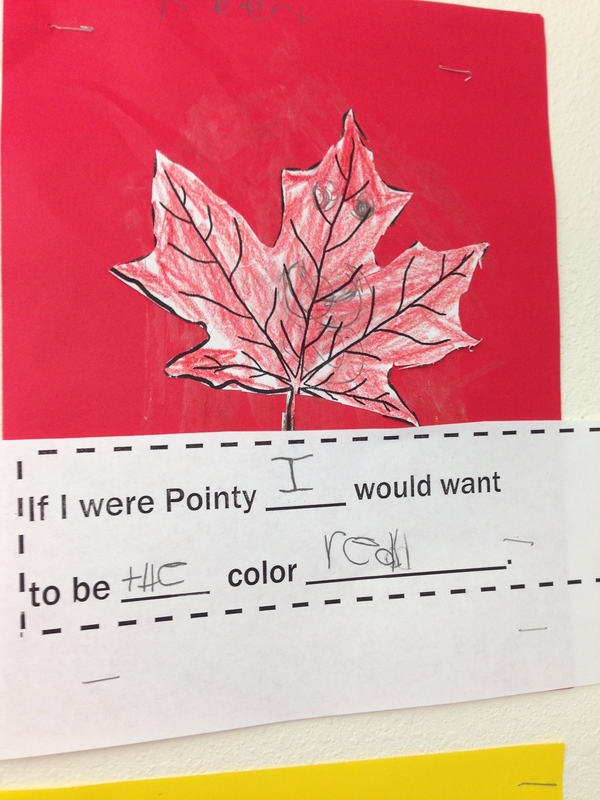 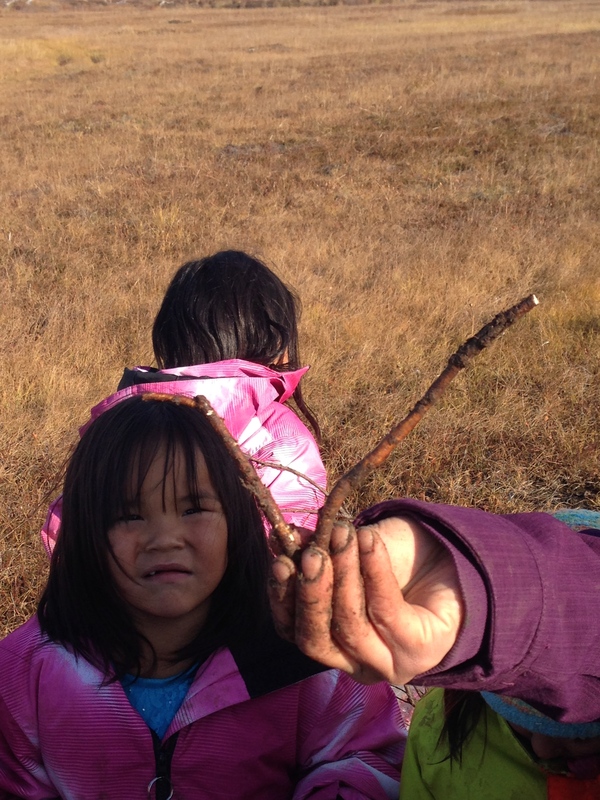 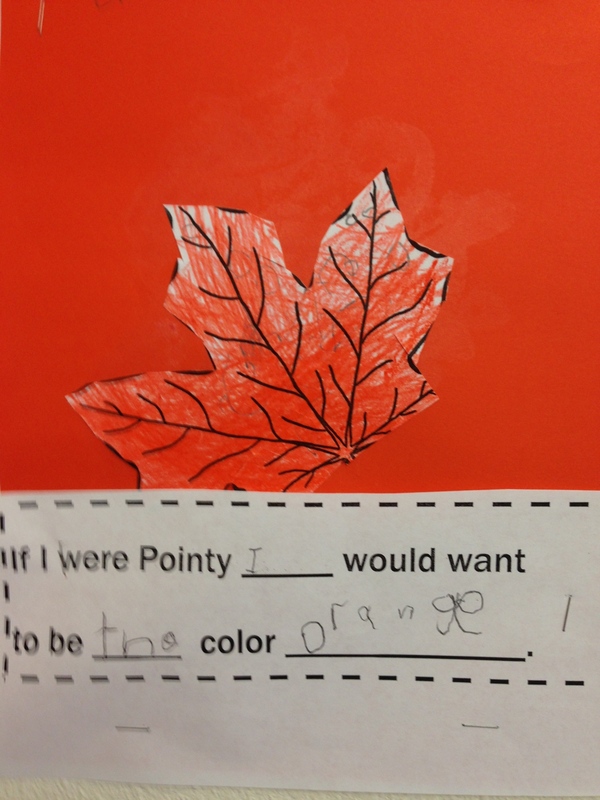 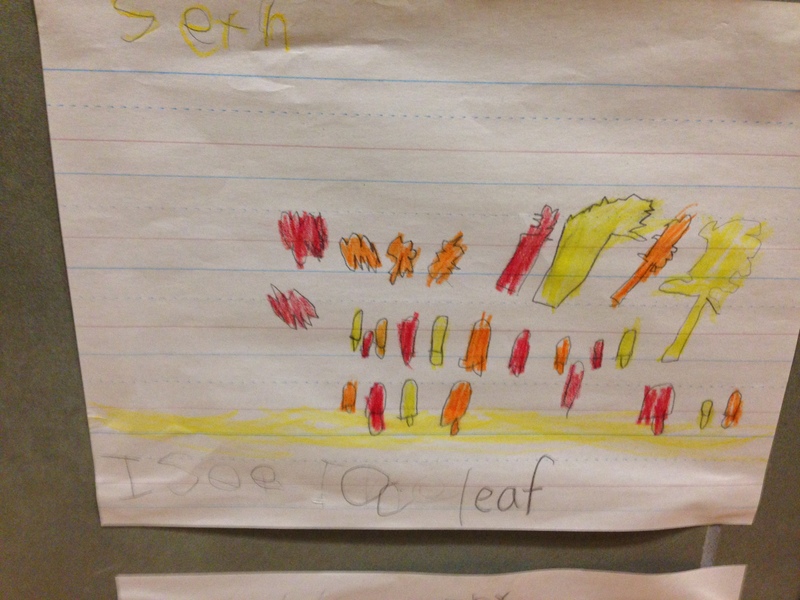 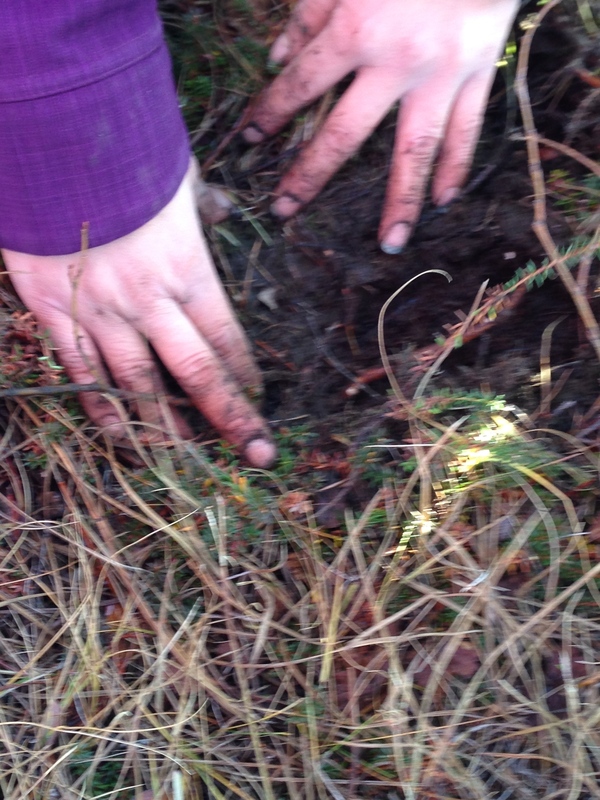 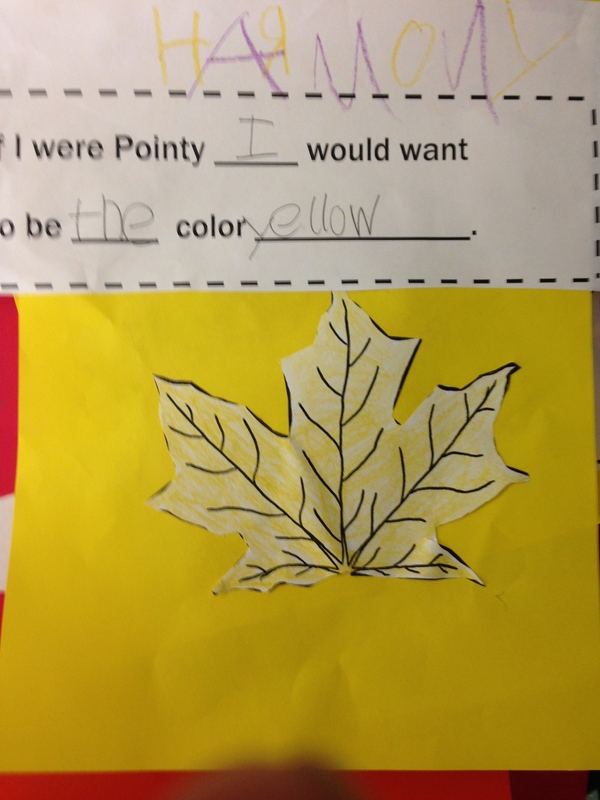 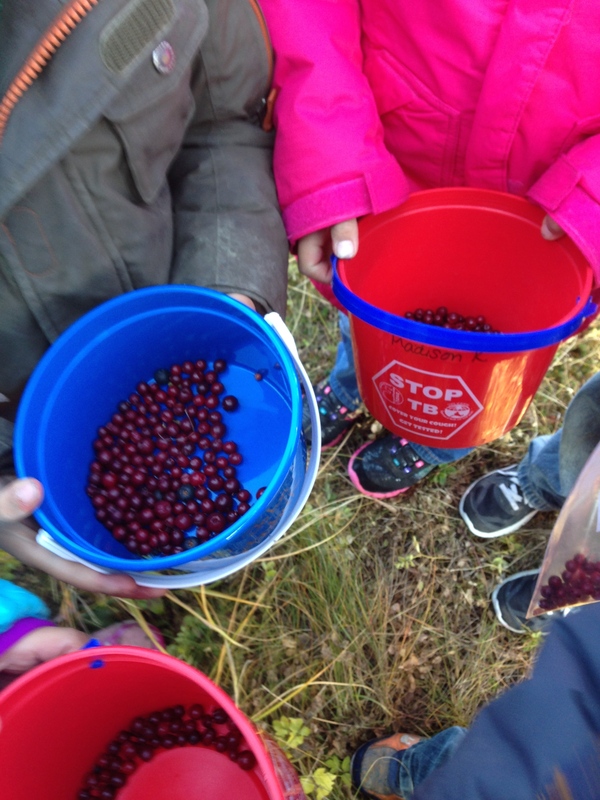 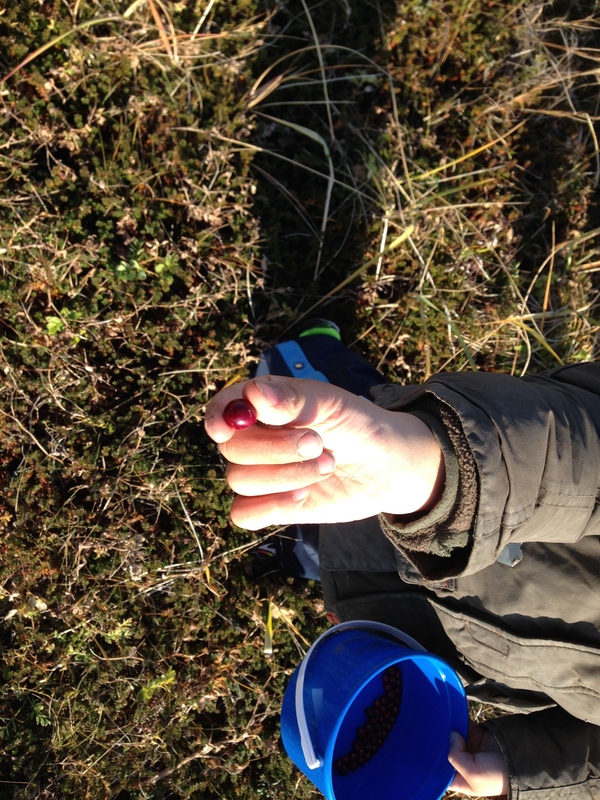 Then we talked about our favorite fall color and said what color we would have liked to have been if we were pointy. 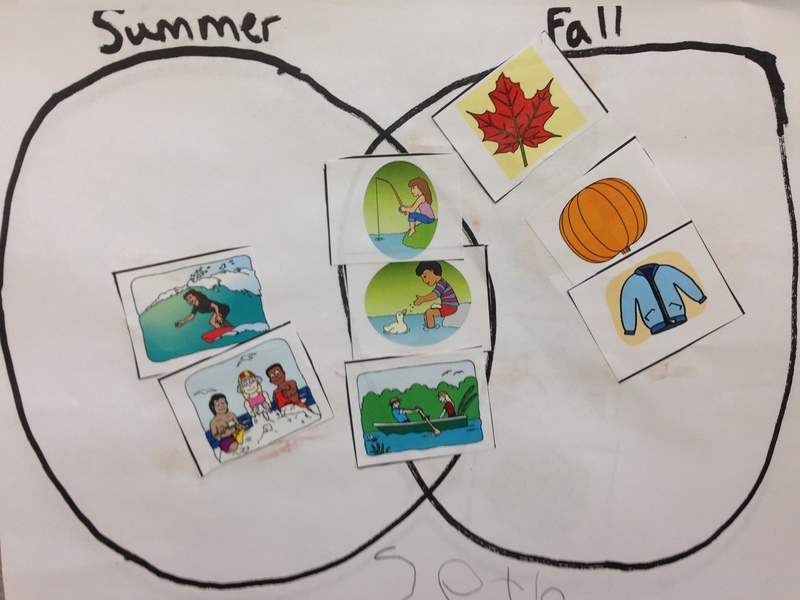 With today being the first official day of fall, we began our unit on fall. 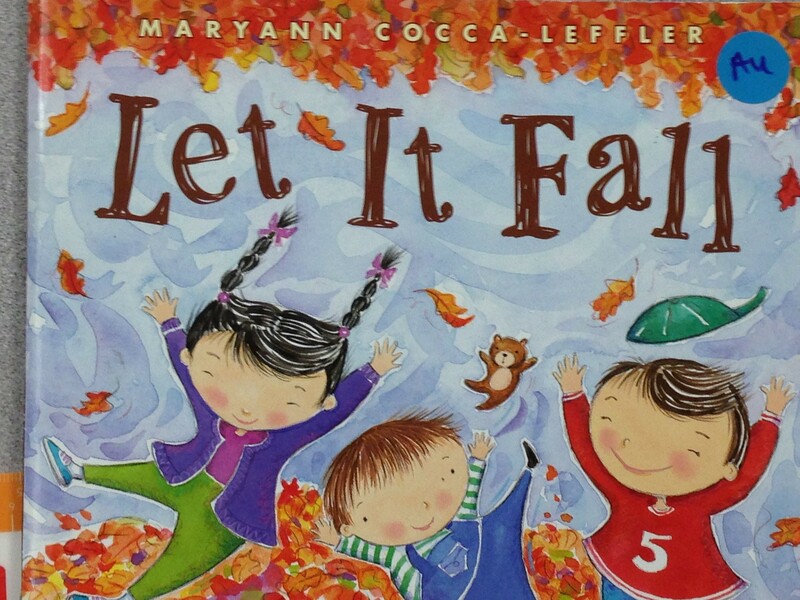 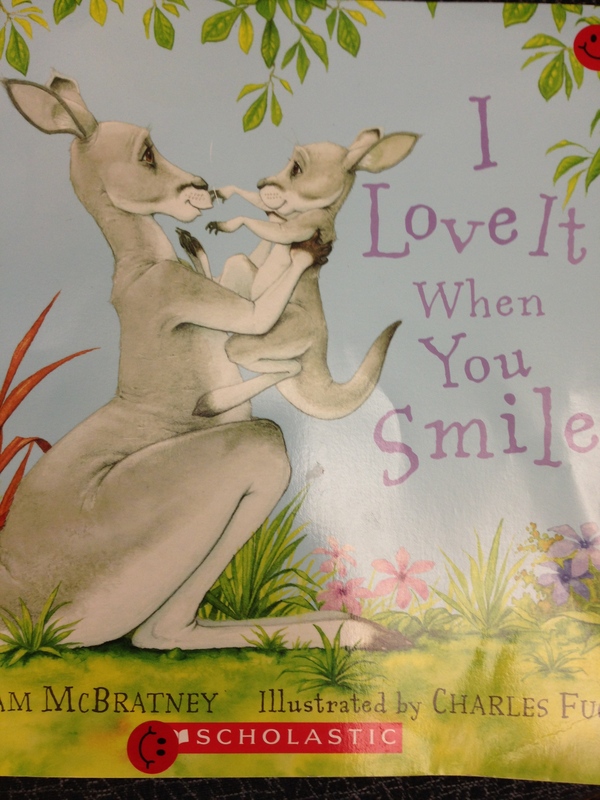 We read the book “Let It Fall!” by Maryann Cocca Leffler. 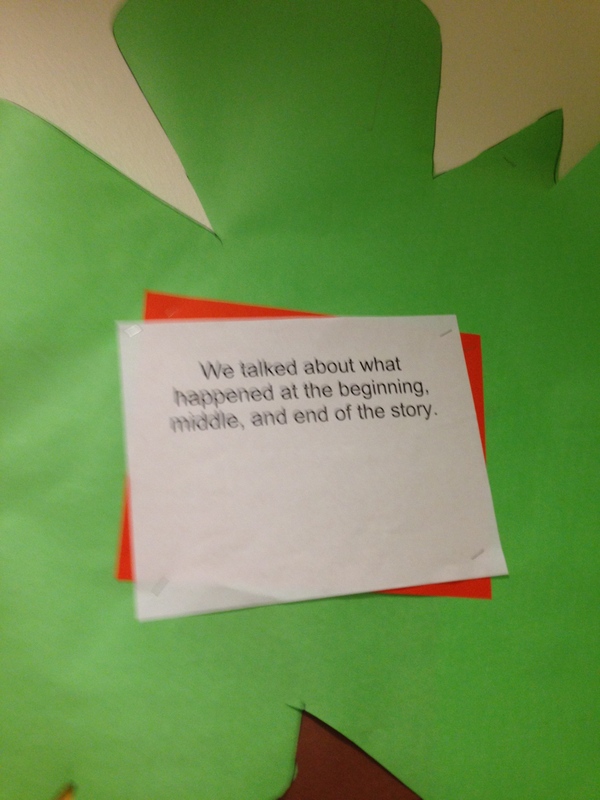 We talked about things that changed in the book and they did during the fall. 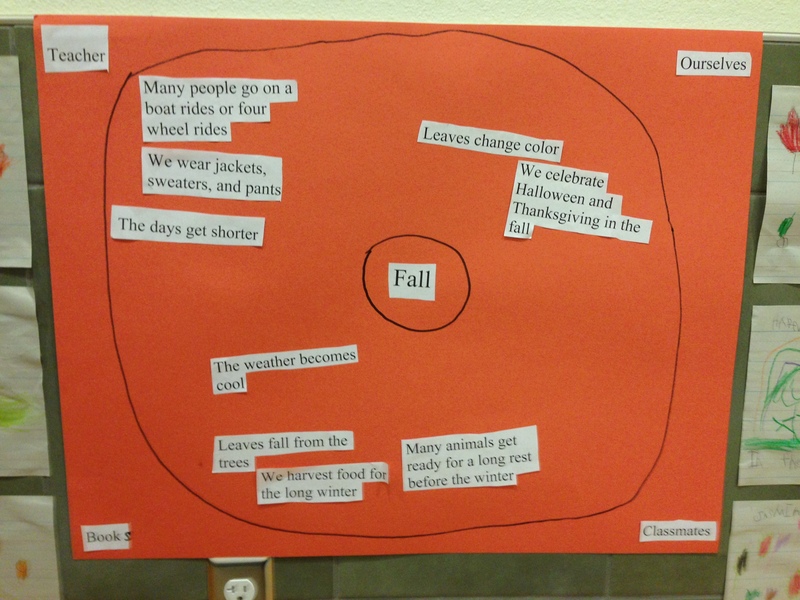 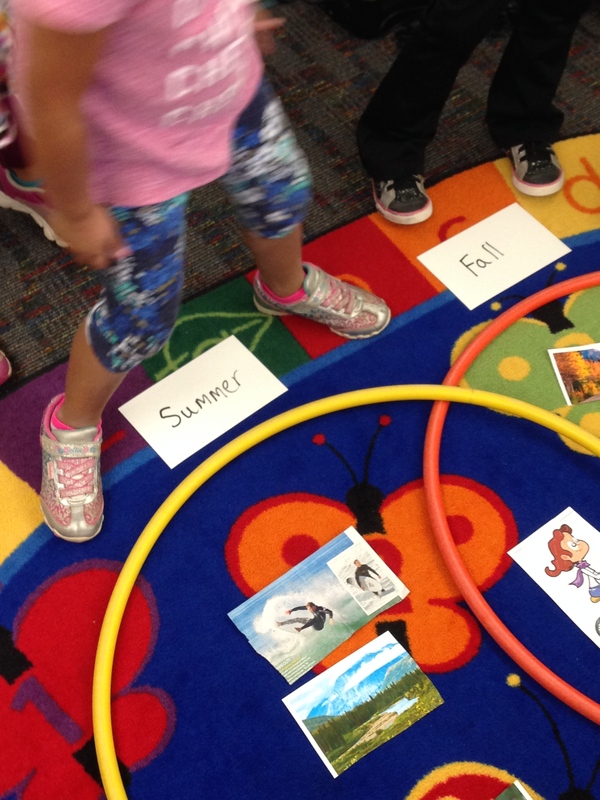 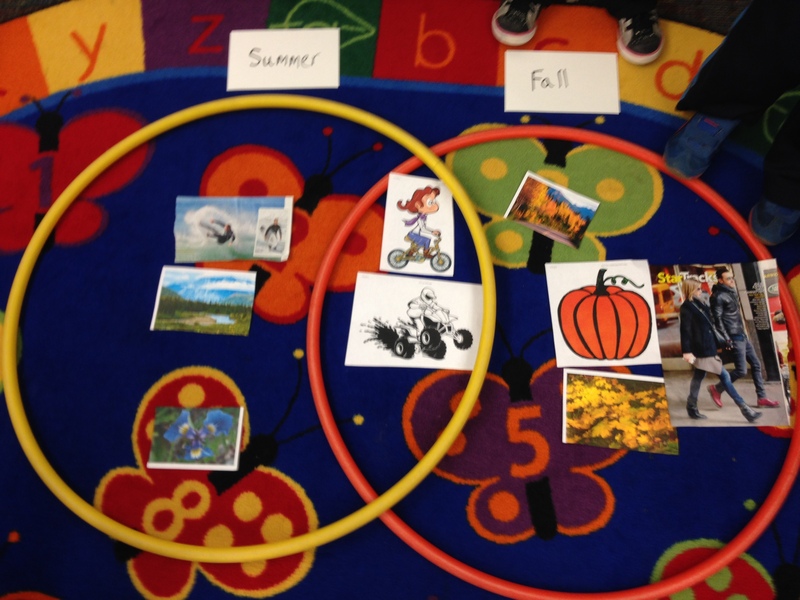 Then we created a class Venn Diagram to compare and contrast what we’ve learned about fall so far with summer. 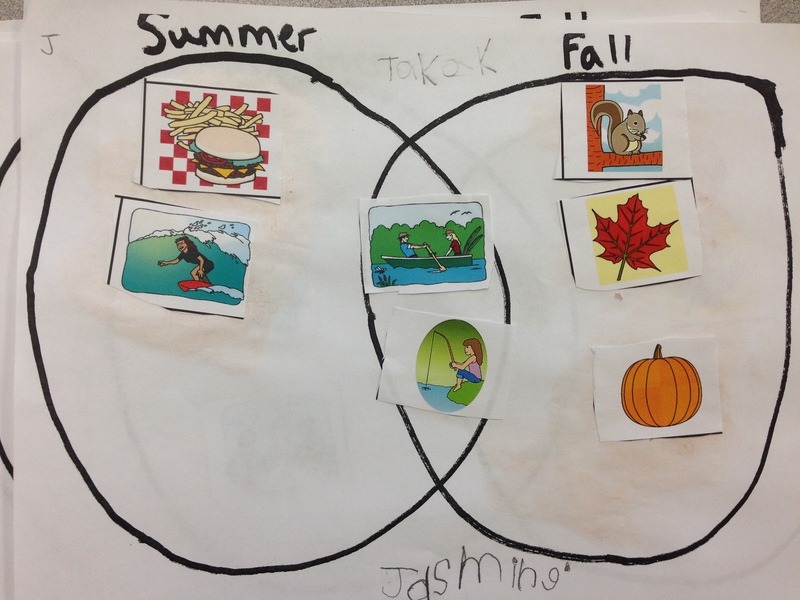 Then during science / social studies time we created individual Venn Diagrams of things that we think would happen in fall or summer. 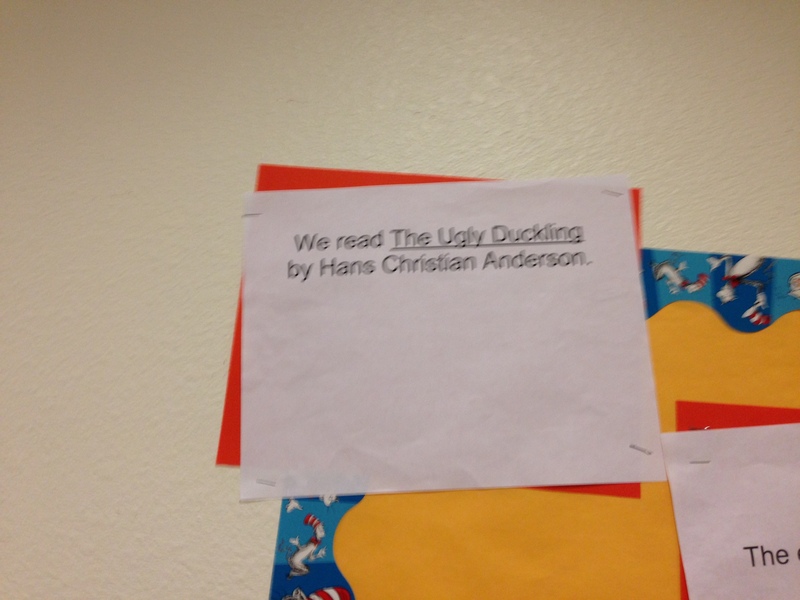 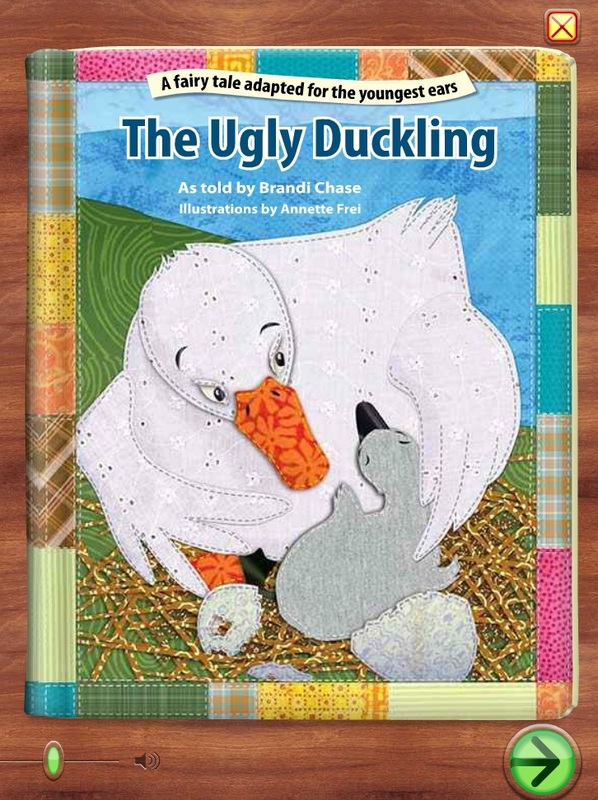 We read the online interactive version of “The Ugly Duckling” from Starfall.com. 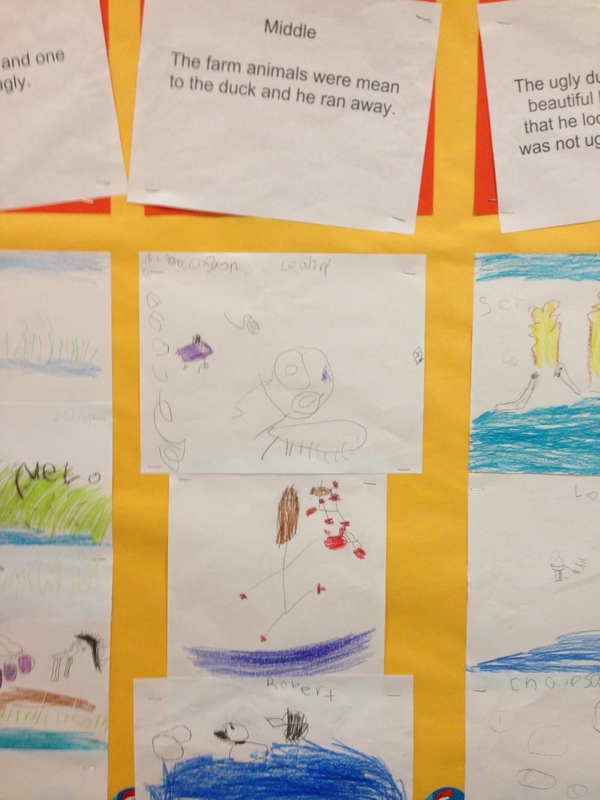 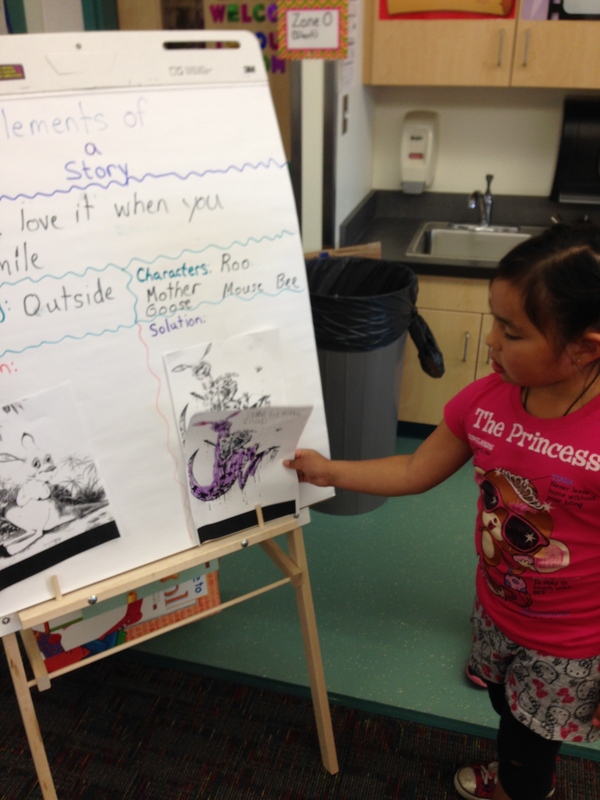 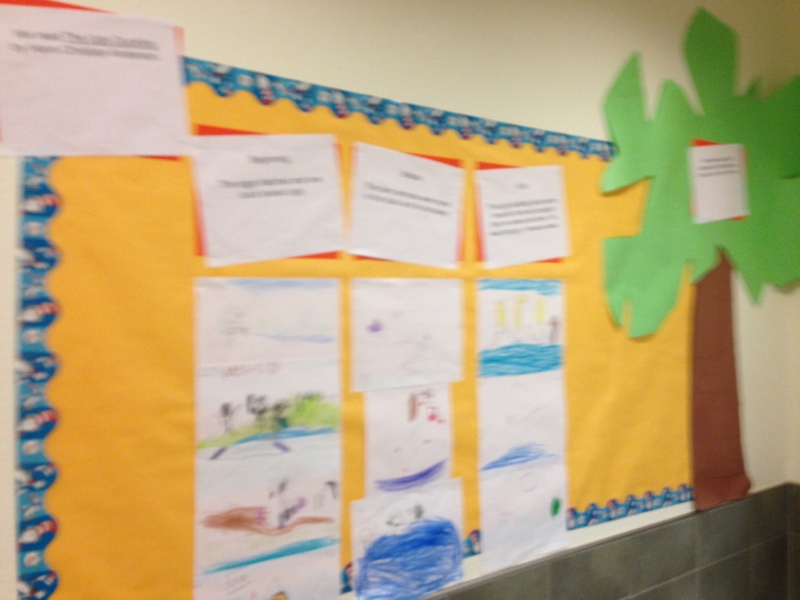 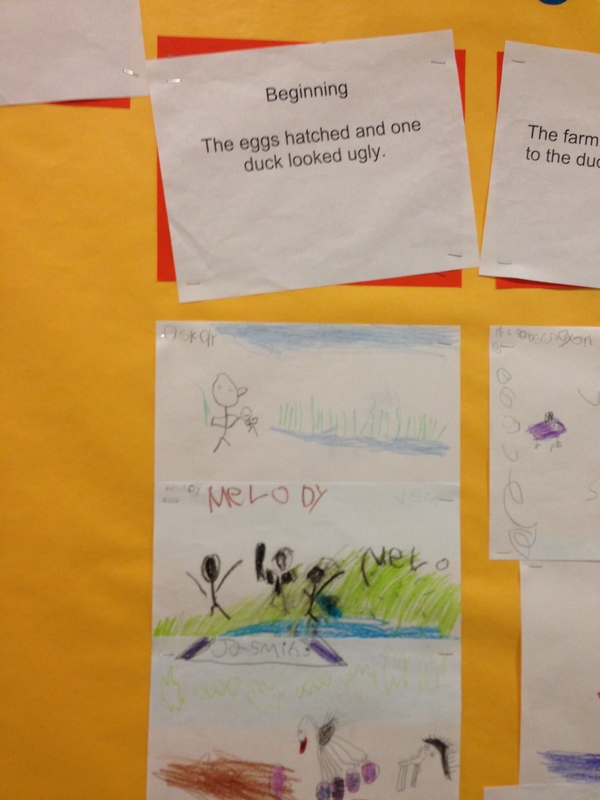 We created a story map that narrated the beginning middle and ending of the story. 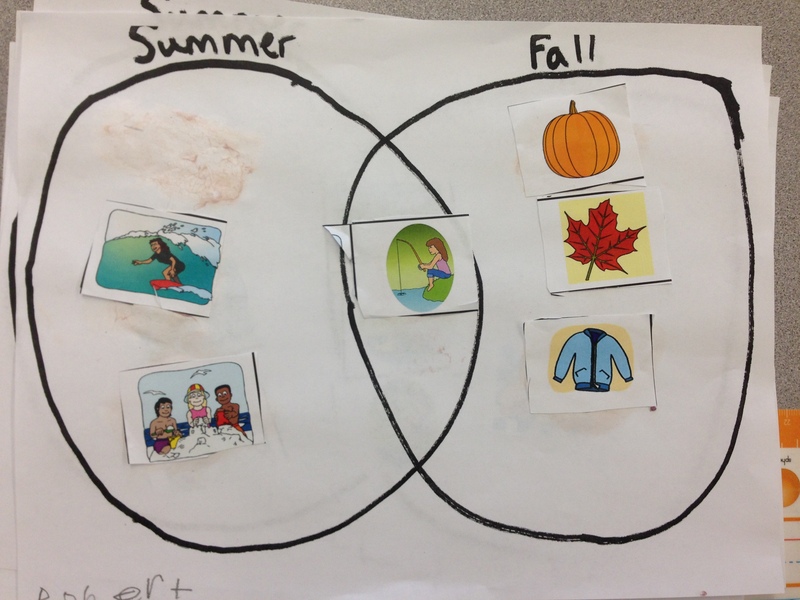 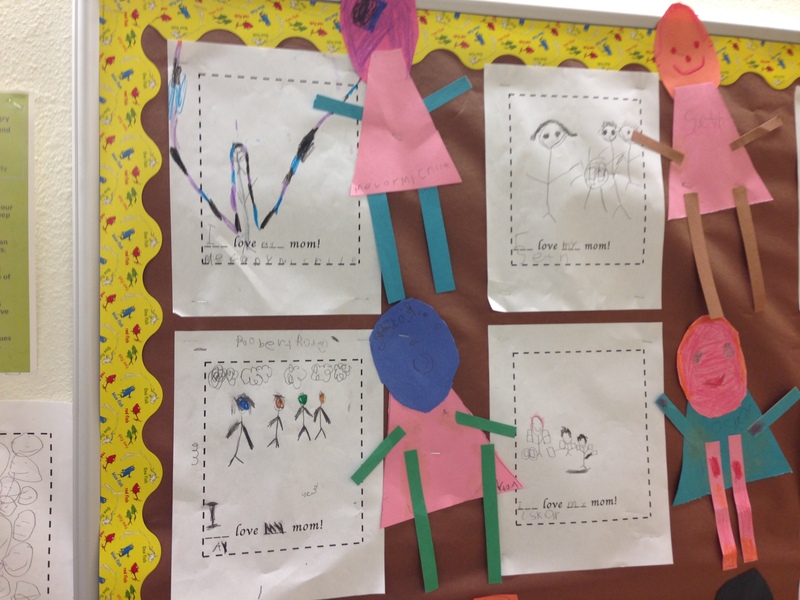 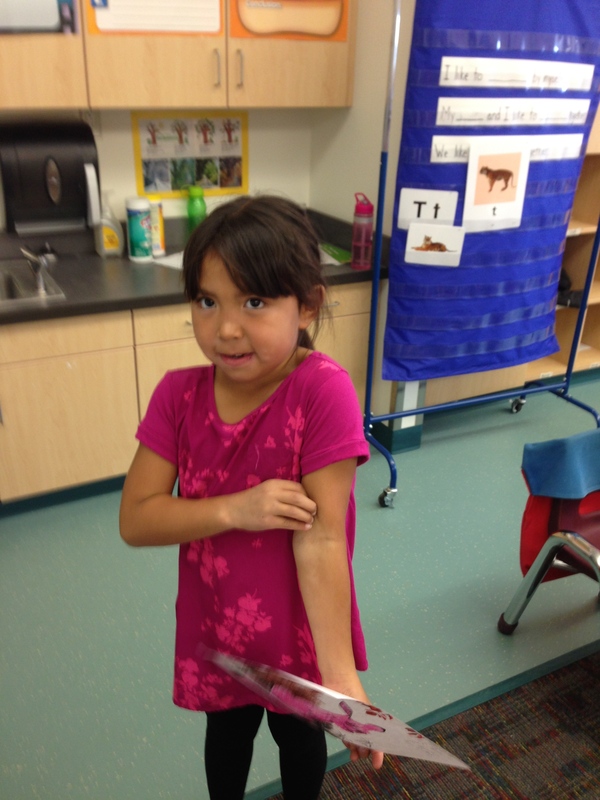 Students were then given either beginning, middle, or end part of the to illustrate in pictures. 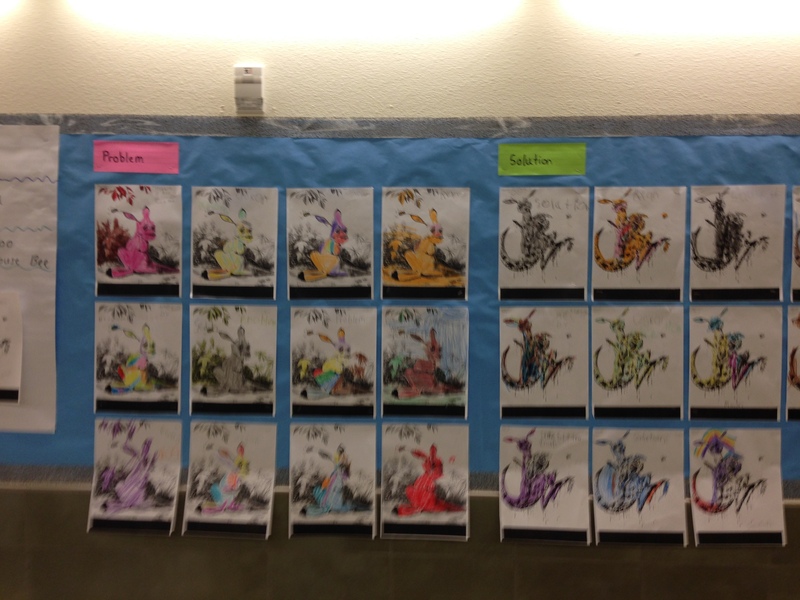 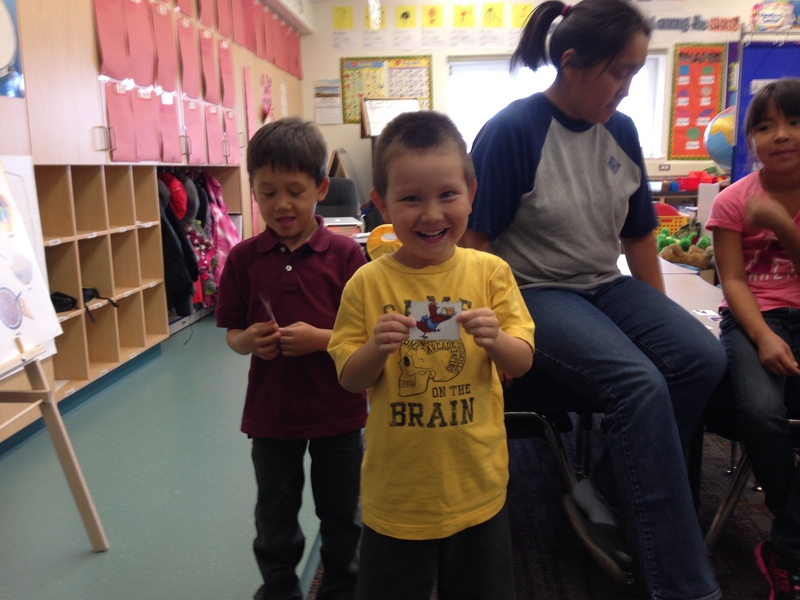 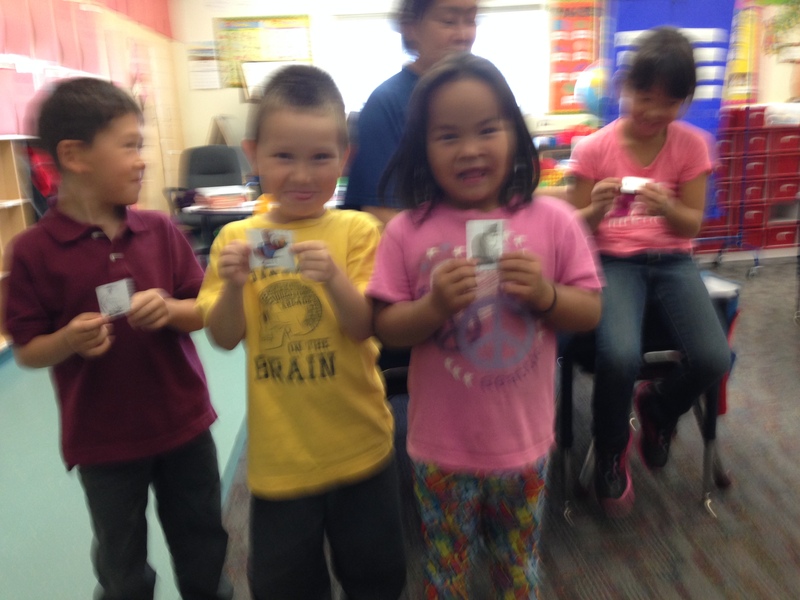 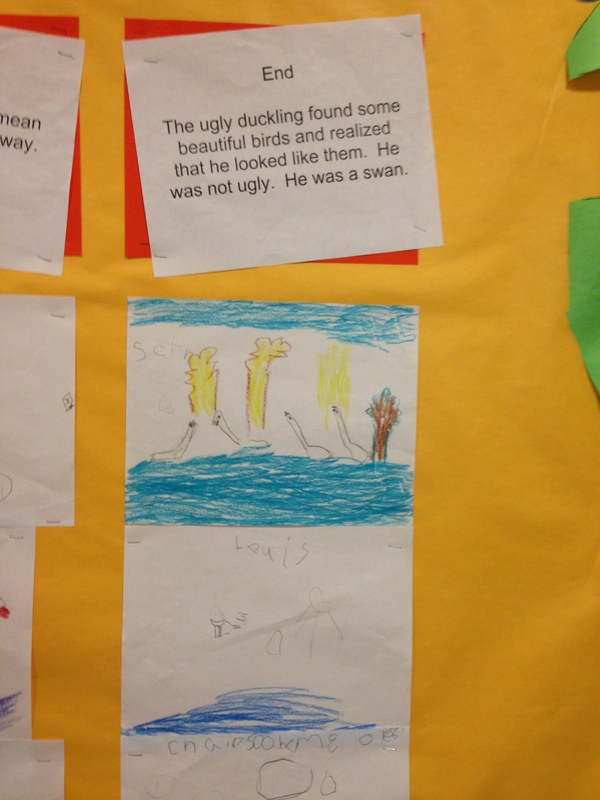 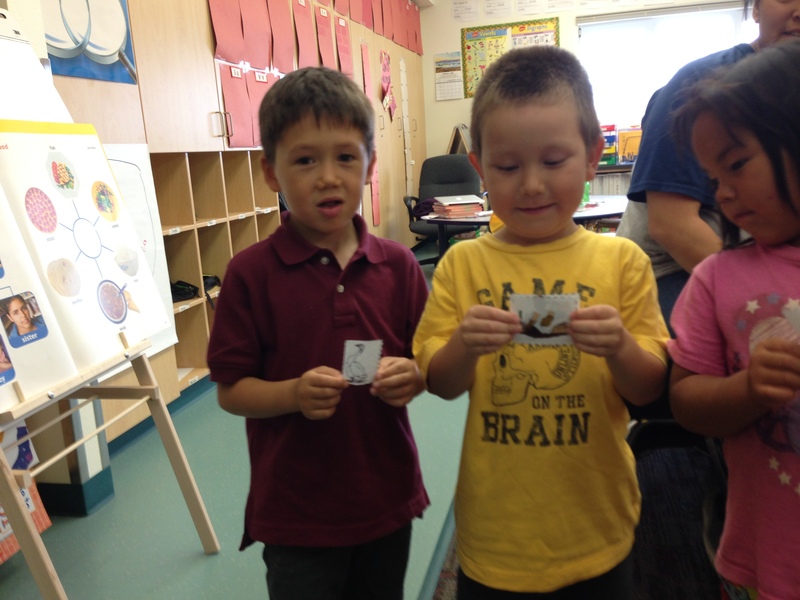 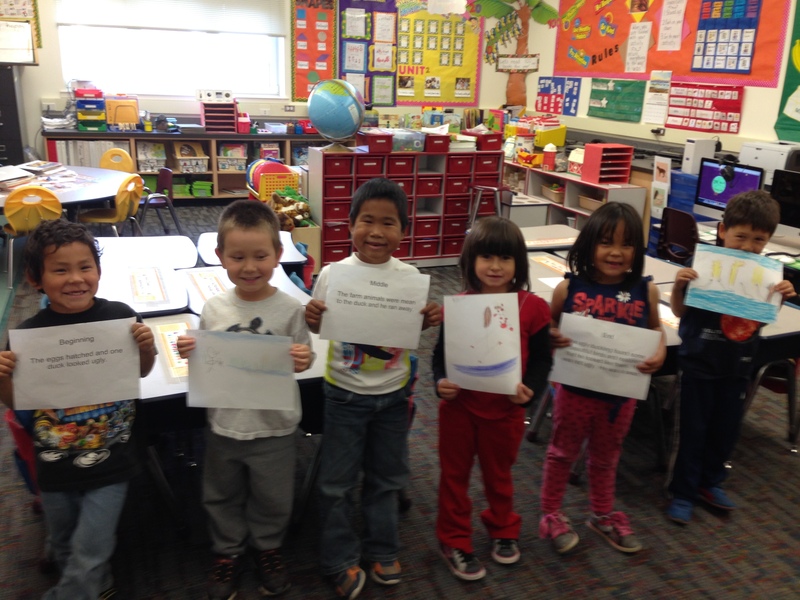 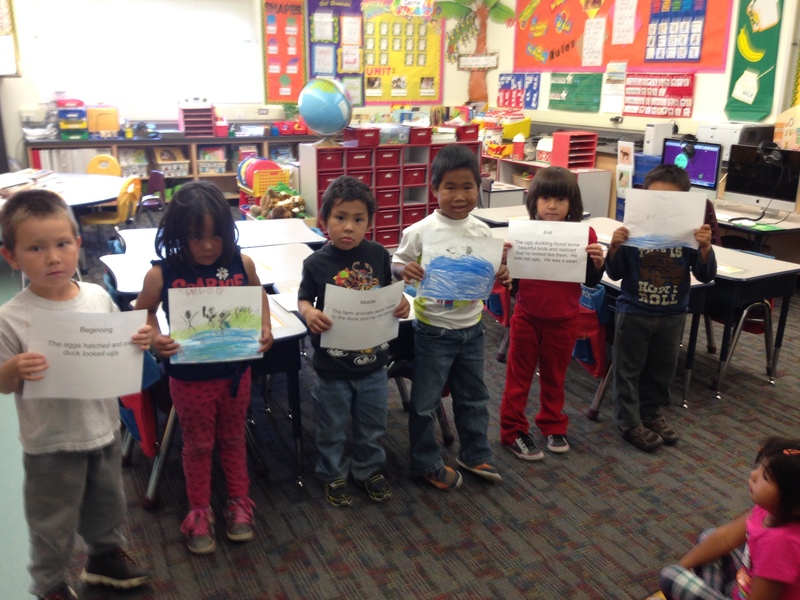 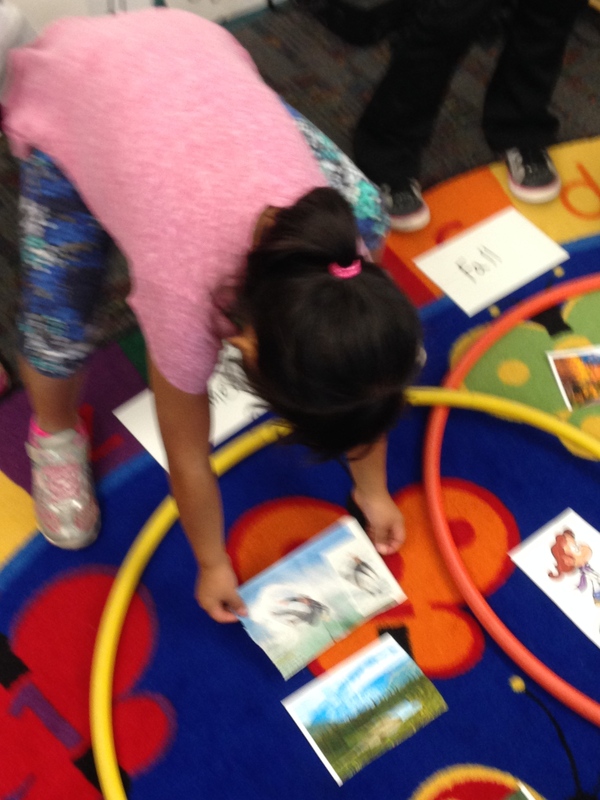 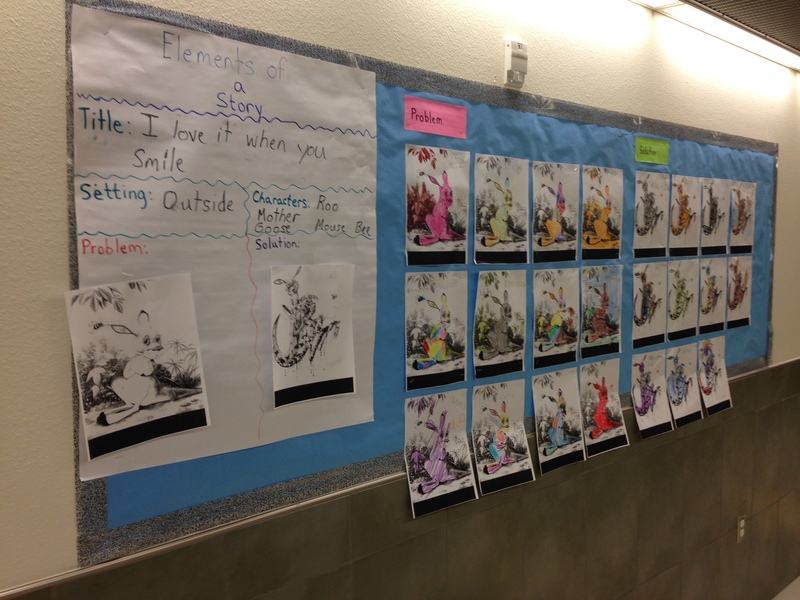 Students then retold the story by displaying their pictures and putting them in the correct order. 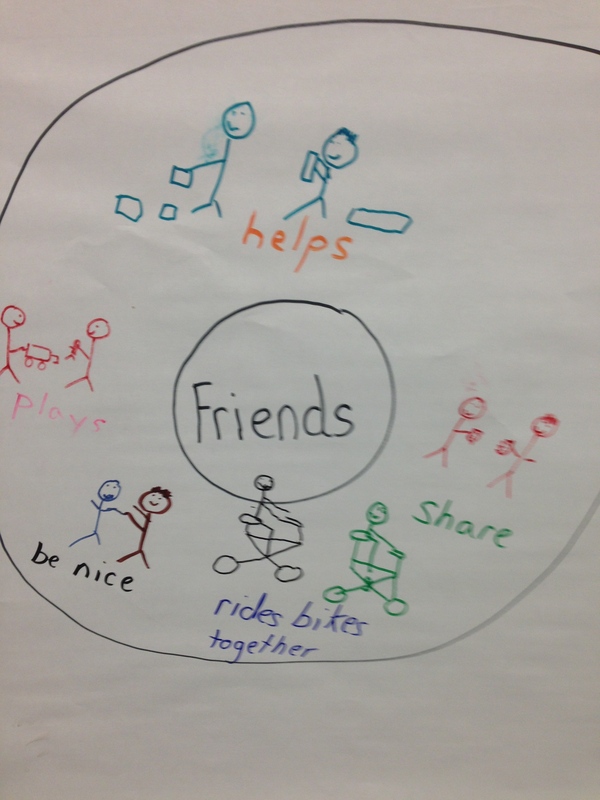 With our new unit on Friends and Family we had a class discussion on things good friends do, the class helped me fill out a bubble map on friends. 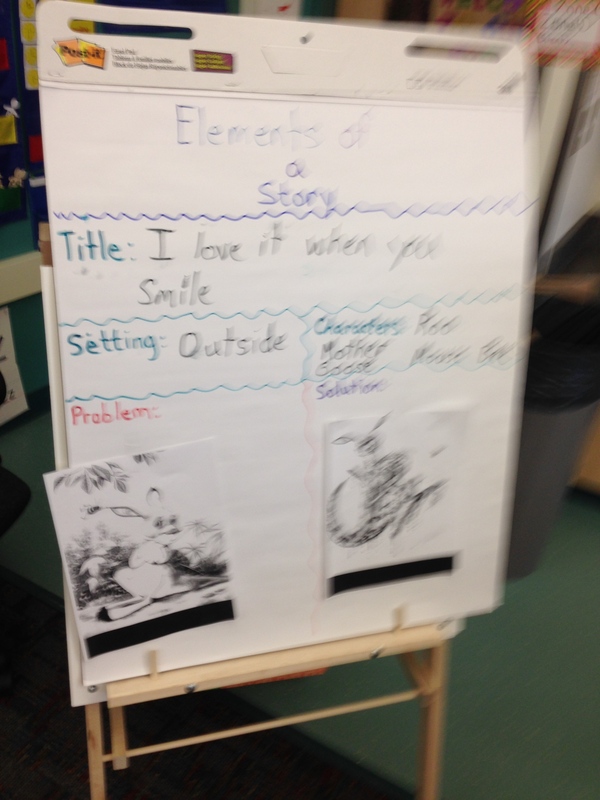 Then we red a story about a character that had three friends. 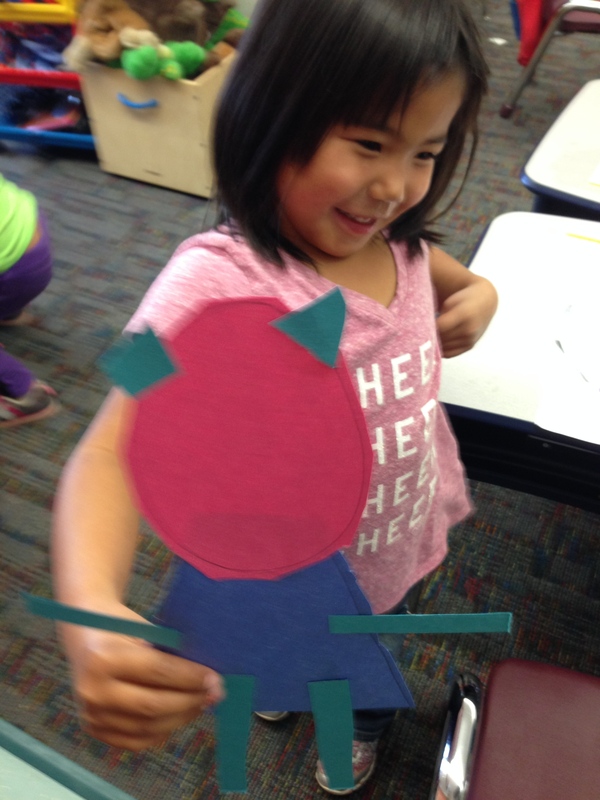 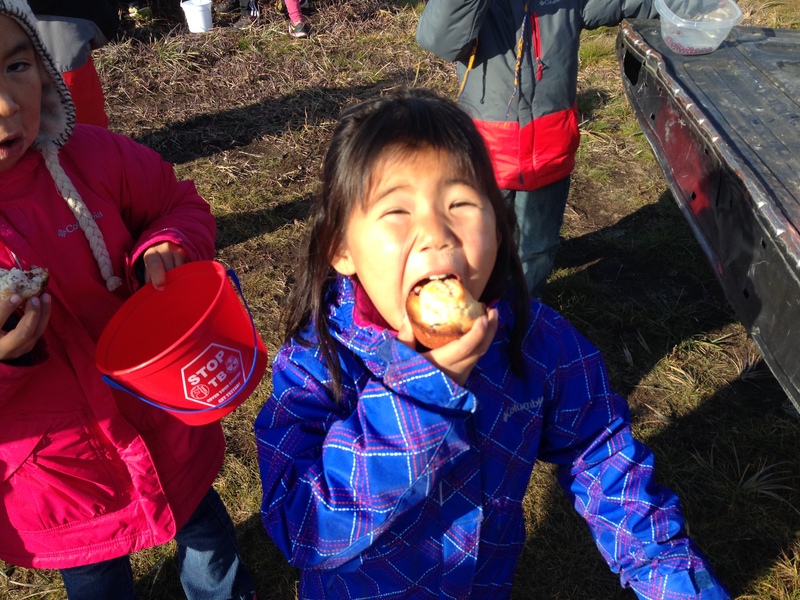 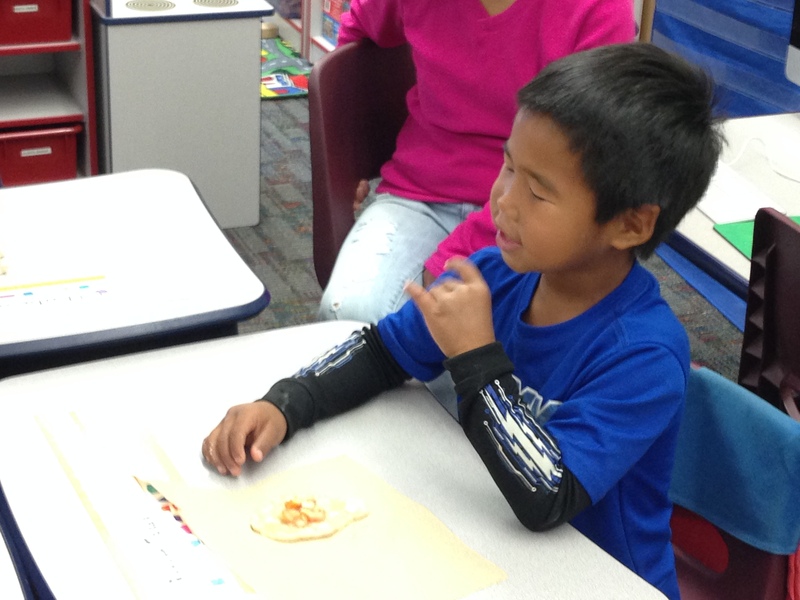 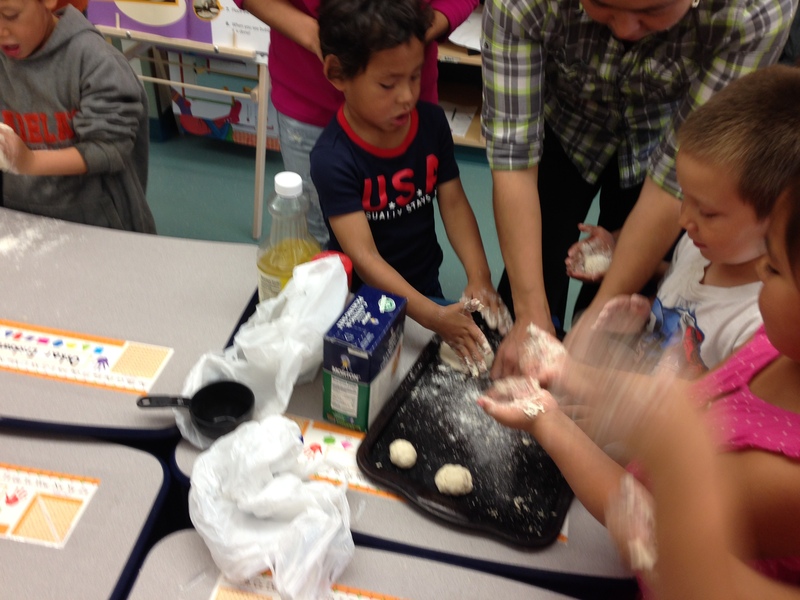 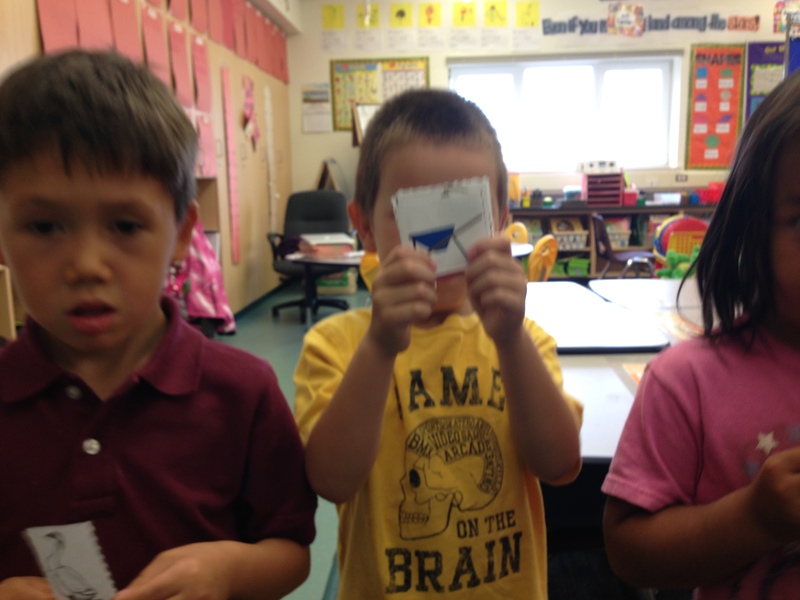 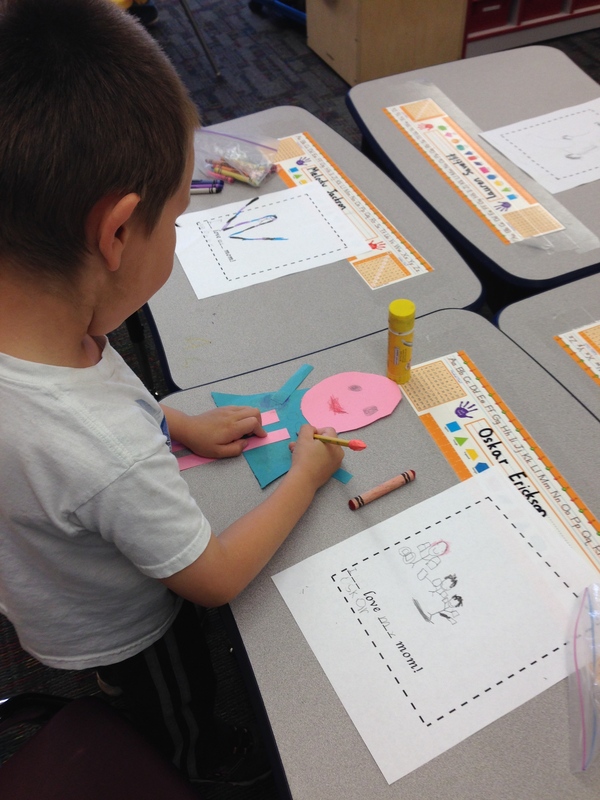 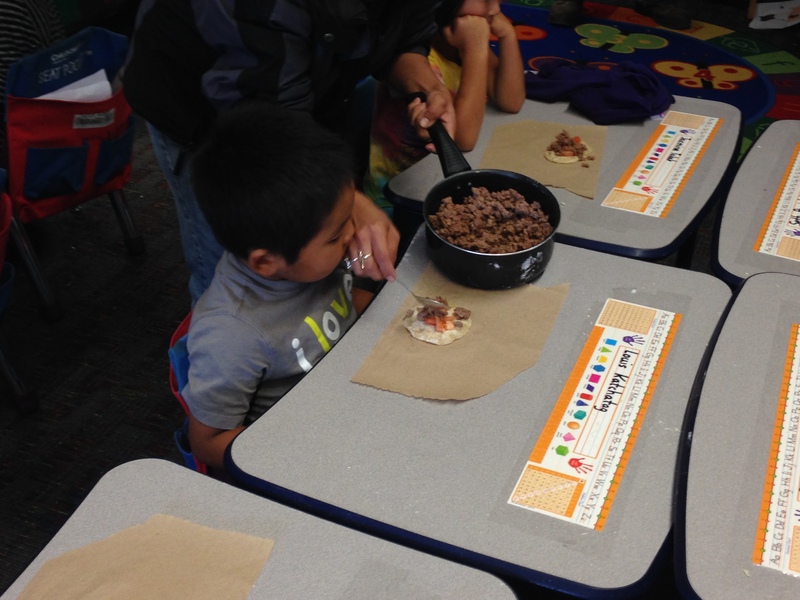 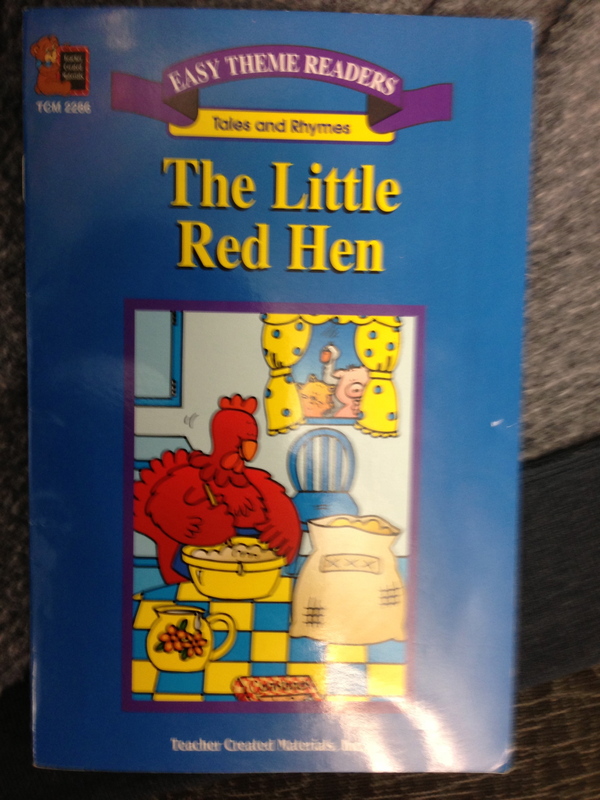 The story is called The Little Red Hen the version that is by Teacher Created Materials. 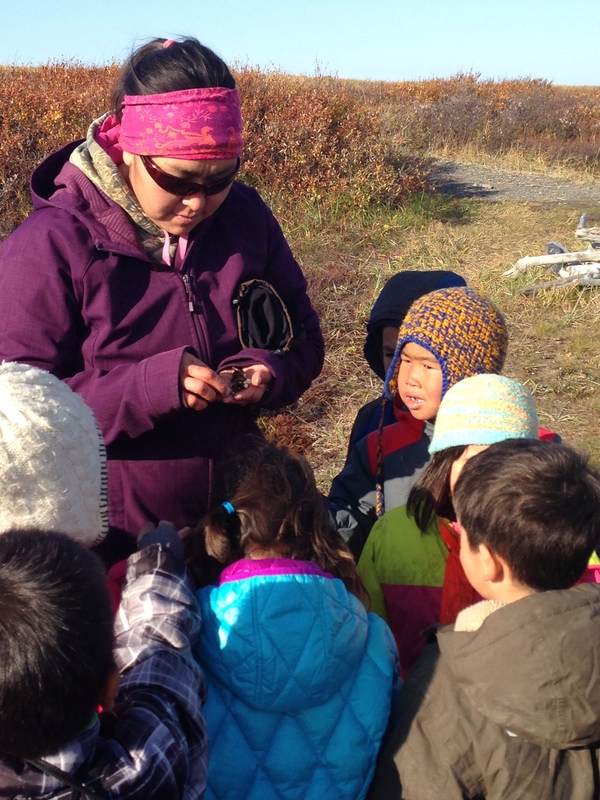 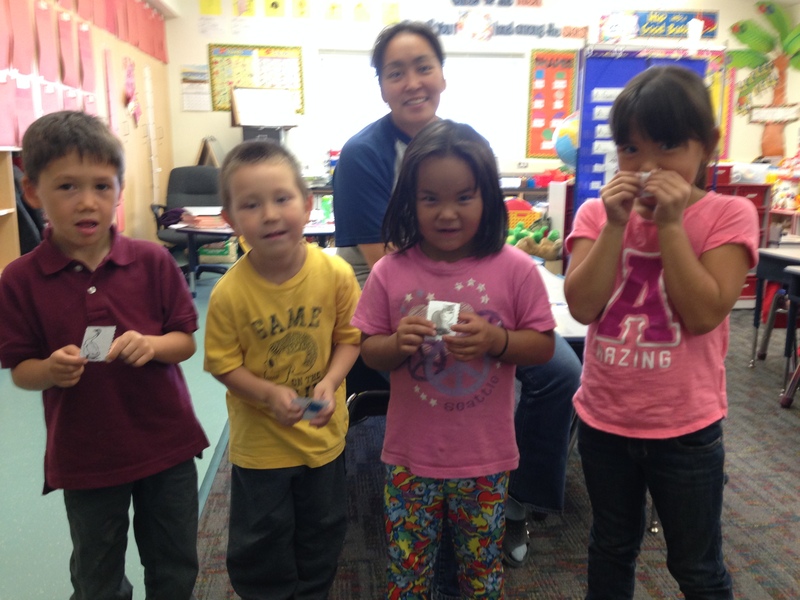 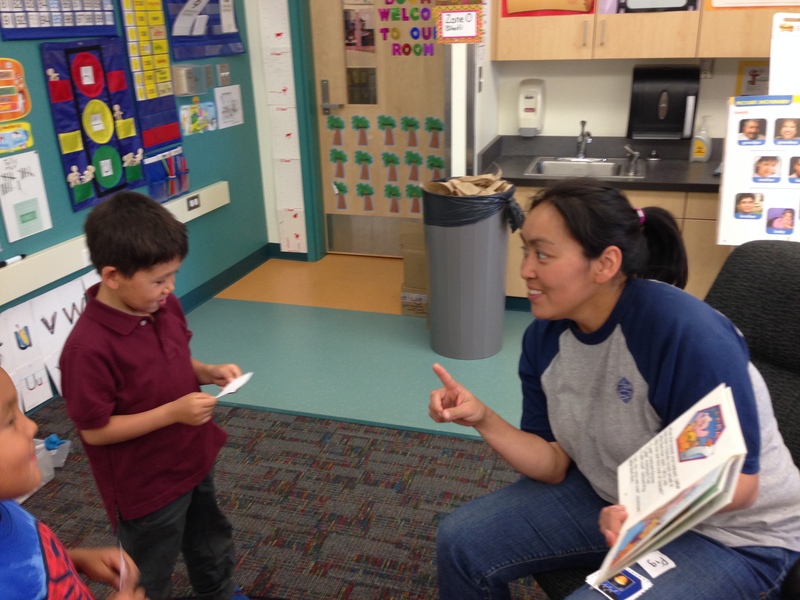 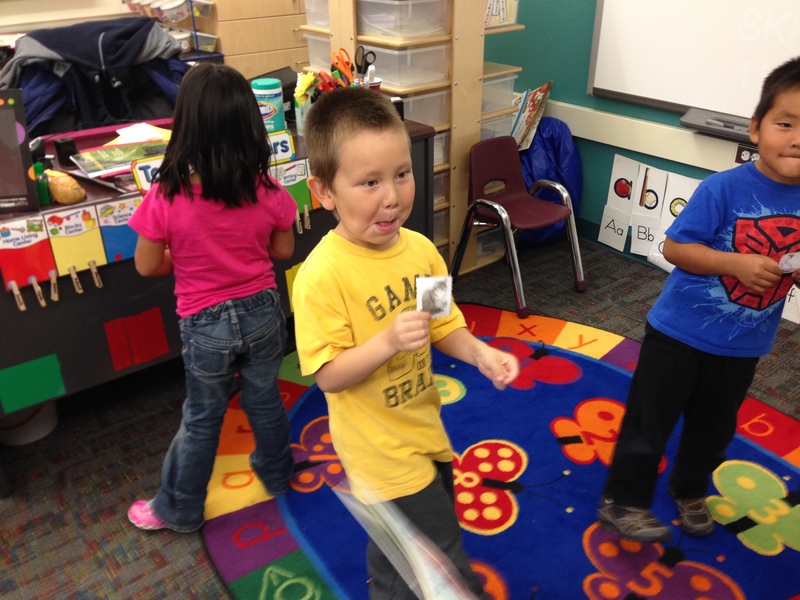 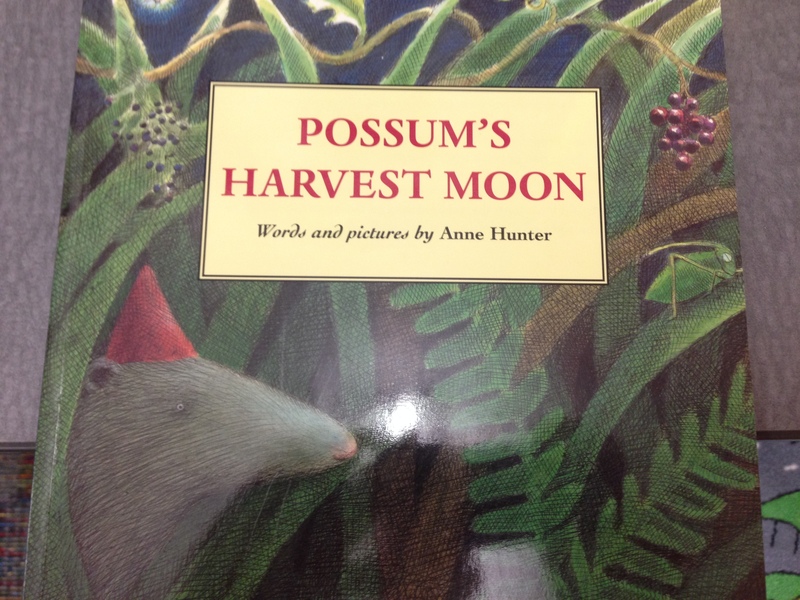 The character dialogue is easily memorized by the students and they enjoy hearing be read aloud with teacher ‘acting out’ the goose, the cat, and the pig. 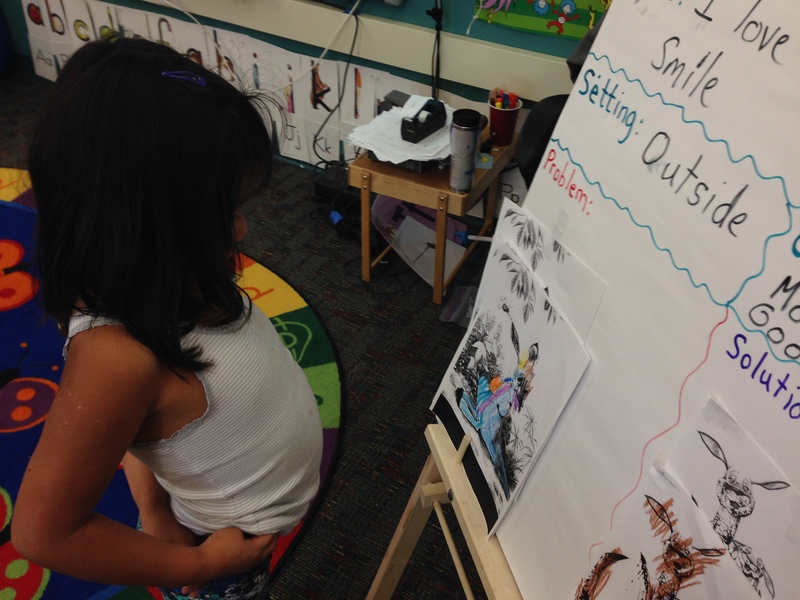 After we read the story we recalled the things we illustrated in our bubble map on friends and I asked the students if the goose, the cat, and the pig were good friends. 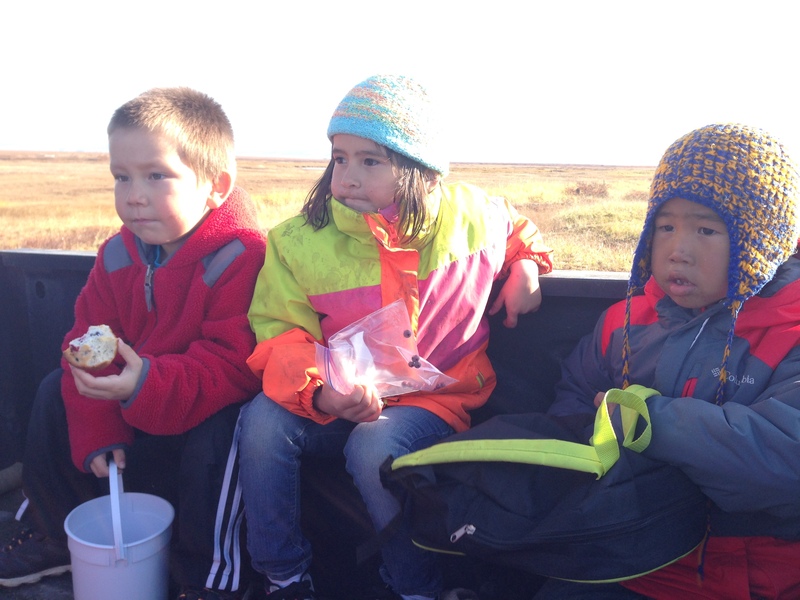 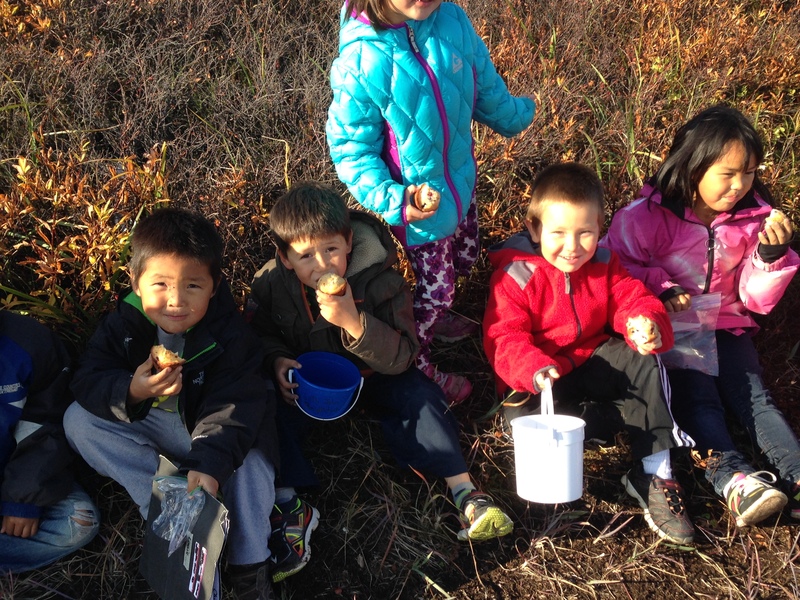 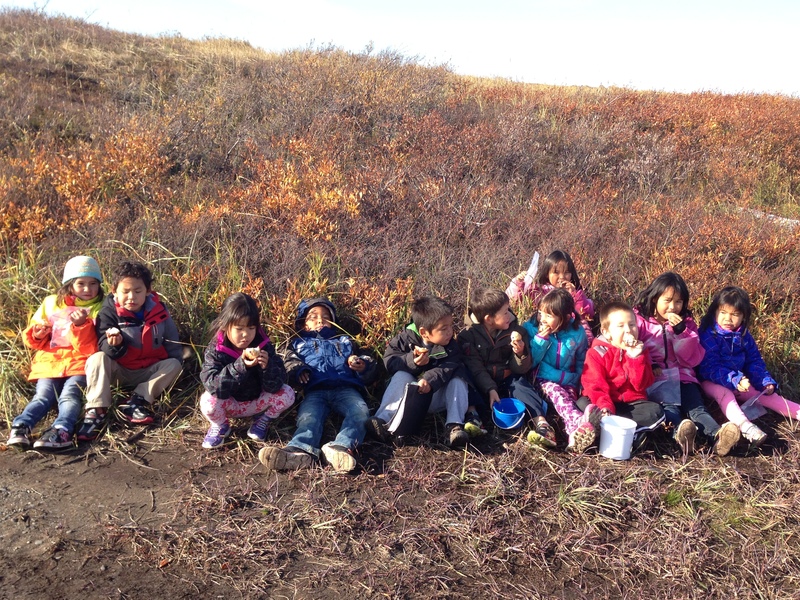 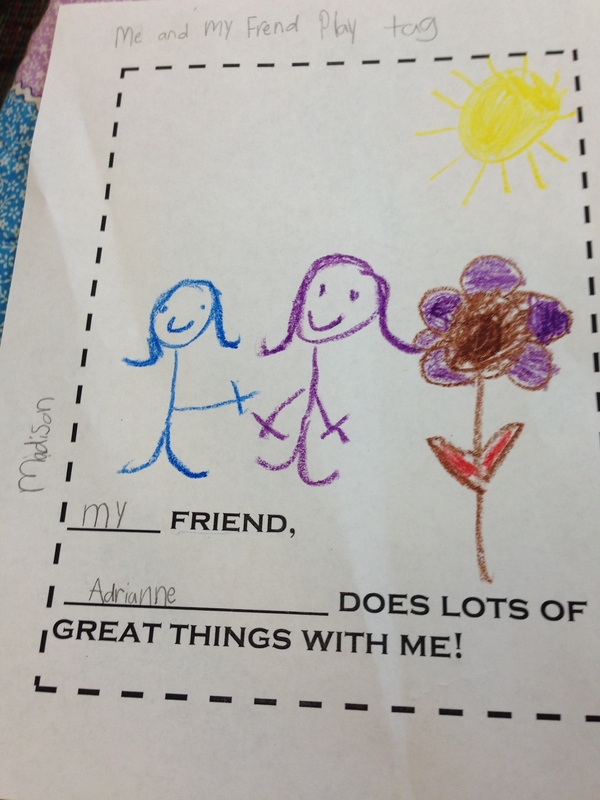 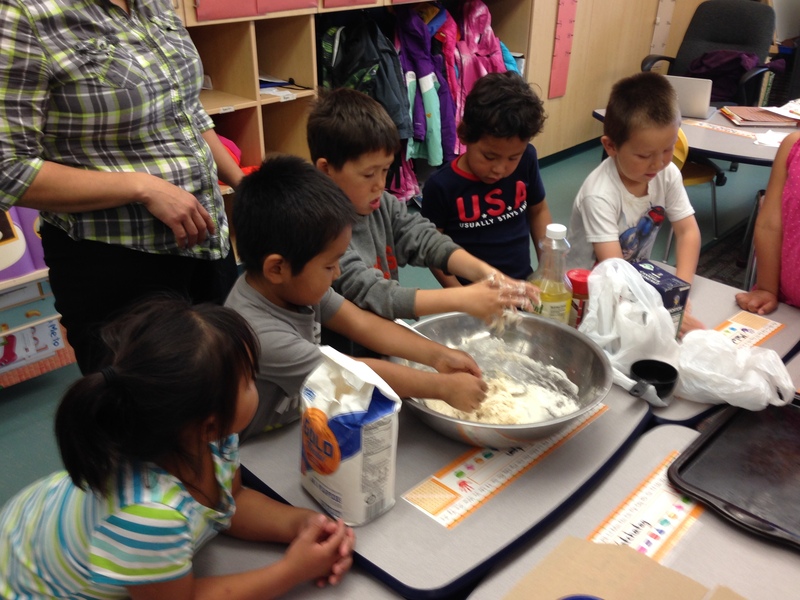 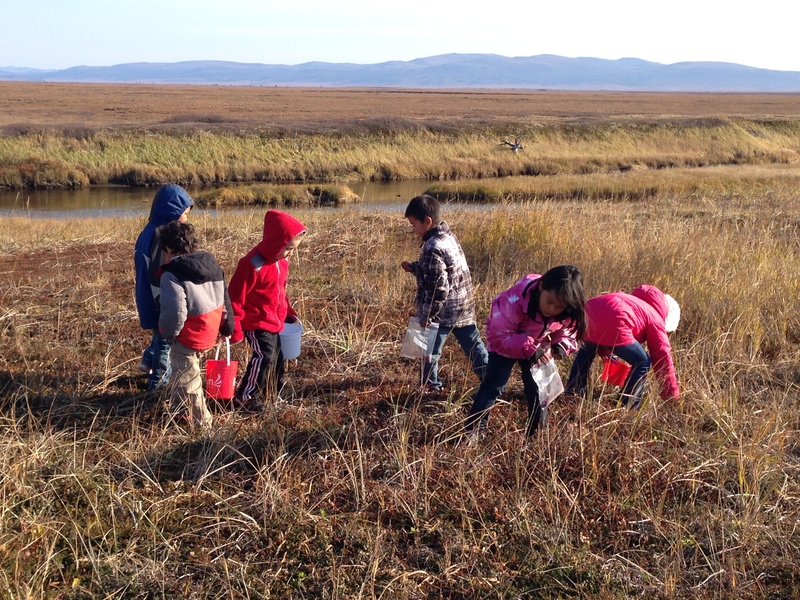 I referred the students were we talked about how good friends help each other. 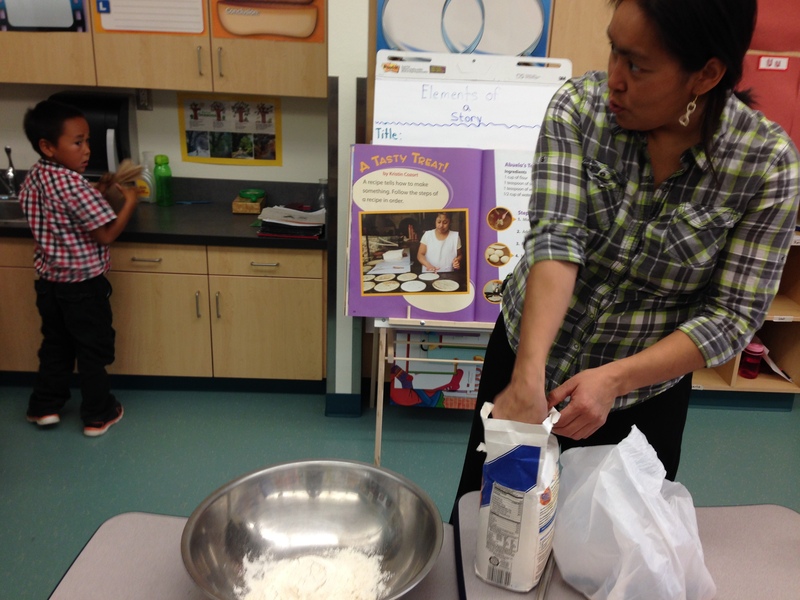 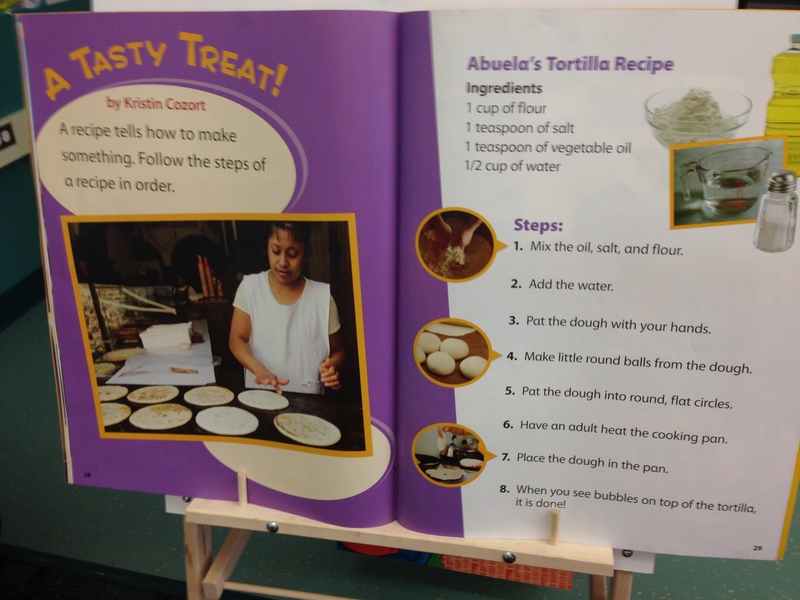 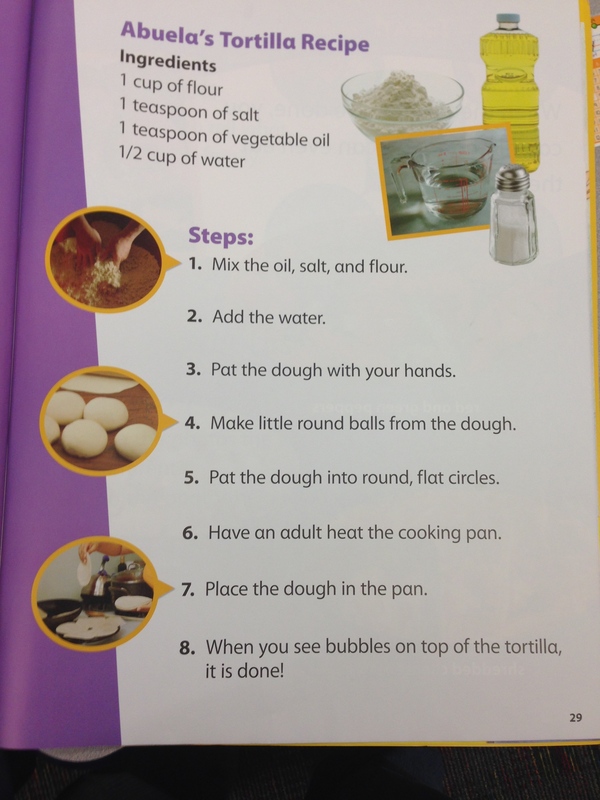 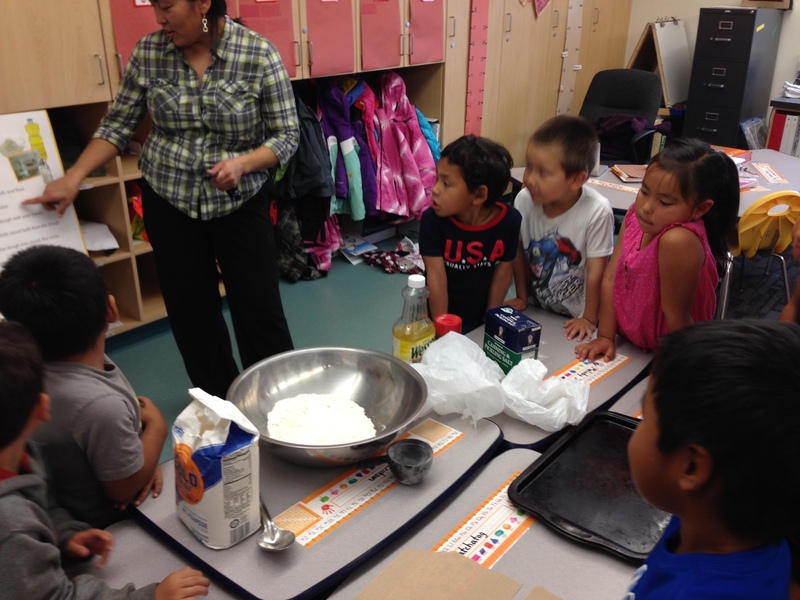 To retell the story printed out character cards and action cards and students had fun acting out the dialogue and remember the sequence of making the bread. 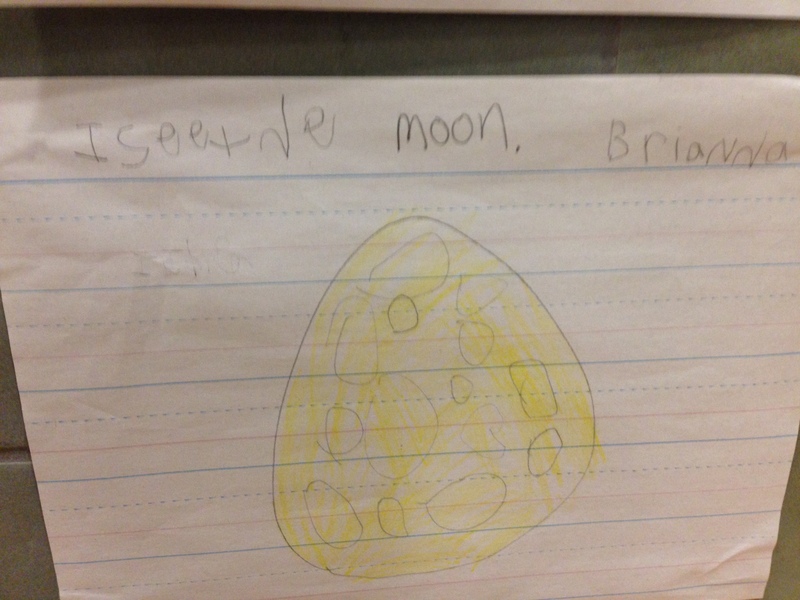 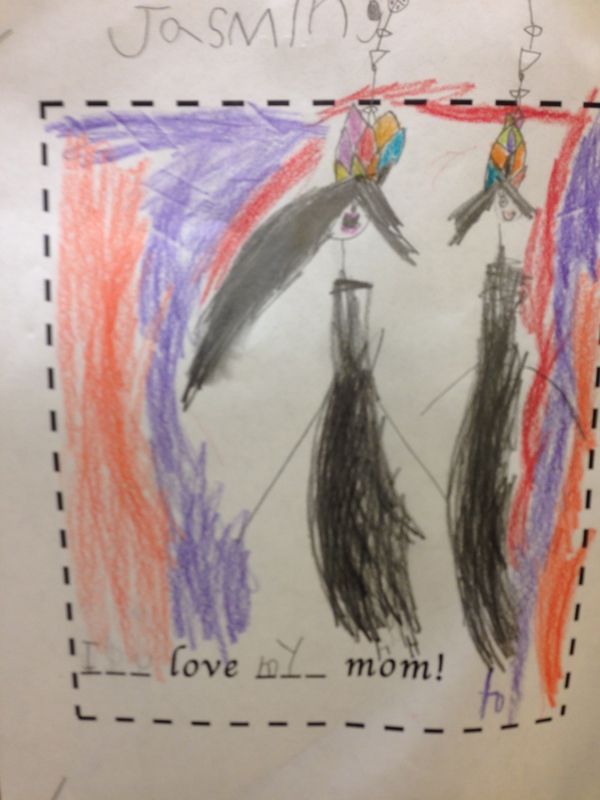 For writing in one of our centers students completed a sentence by practicing writing the sight word ‘my’ and writing a friends name. 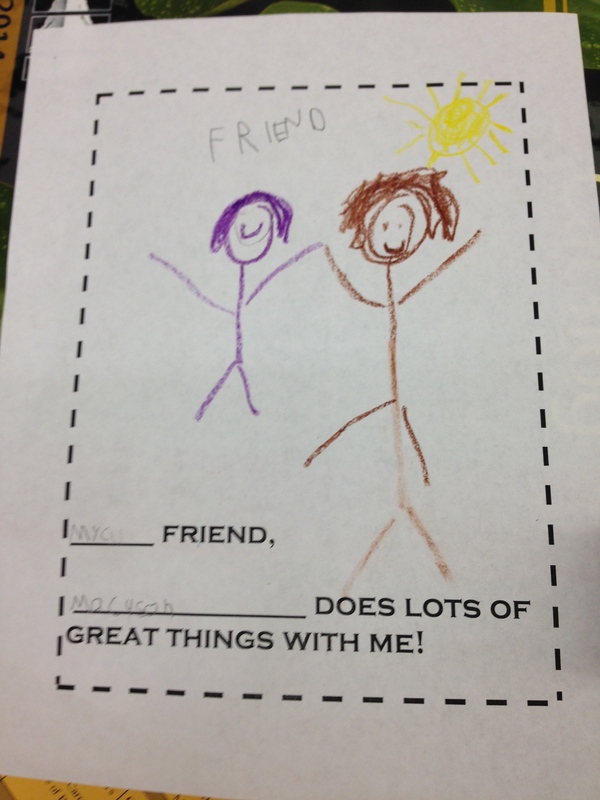 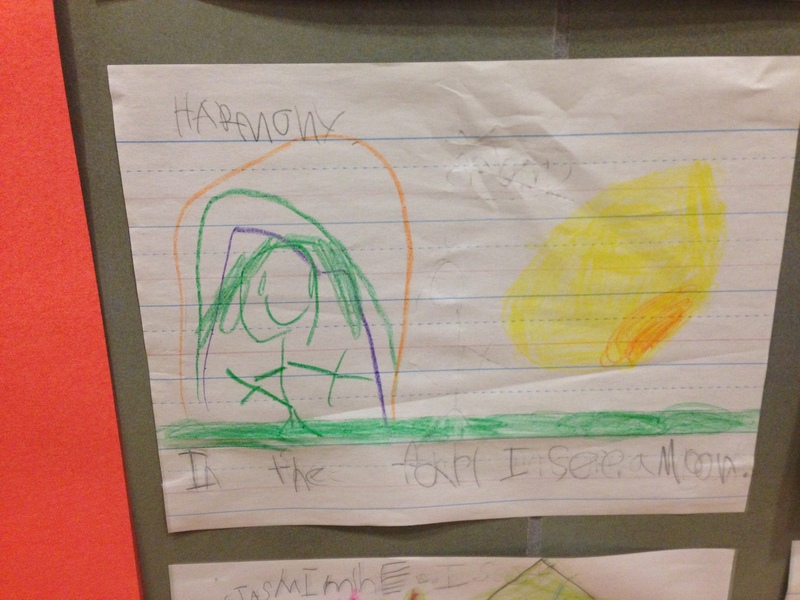 Then they illustrated a picture of them with their friend.